(MoneyWatch) I've had a number of investors reach out to me regarding a New York Times article on Vanguard and Dimensional Fund Advisors, wanting to know my opinion. This article provides a perfect example of the dangers of relying on investor returns to determine the quality of a mutual fund company. The investor return differs from the investment returns reported by mutual fund companies. Investment returns are available on websites such as Morningstar.com and reflect a buy and hold strategy, including the reinvestment of dividends. Investor returns, on the other hand, incorporate the impact of cash inflows and outflows from purchases and sales and the growth in fund assets. Morningstar has trademarked this as Morningstar Investor Return. Morningstar states that "comparing investor returns to total returns reveals how well investors timed their fund purchases and sales (investor behavior) and whether the fund promotes sound investment strategy (fund family behavior)." Unfortunately, you can't rely on investor returns to make such a determination, as the following example taken from the "The Finance Buff" demonstrates. "Suppose the stock market doubled in year one and then stayed flat for nine years. Over the 10-year period, the market return is 7.2% a year (rule of 72). If an investor invests $1,000 every year in an index fund that exactly matches the market, the investor will have $11,000 at the end of 10 years. Only the first $1,000 had a good return. The other $9,000 had zero return. As a result, the investor's dollar-weighted return is only 1.7% a year for 10 years. The big difference between the market's 7.2% per year return and the investor's 1.7% per year dollar-weighted return isn't caused by any performance chasing or bad market timing. The investor is just faithfully investing in an index fund for the long term. When the market did well in year one, the investor simply didn't have much money invested to catch the good return. Now suppose the stock market stayed flat for nine years and then doubled in year 10. Over the 10-year period, the market return is still 7.2% a year. If an investor invests $1,000 every year in an index fund that exactly matches the market, this investor will have $20,000 at the end of 10 years, resulting in a dollar-weighted return of 12.3% a year for 10 years. It's higher than the market return because in the year when the market return was high, the investor had $10,000 invested versus only $1,000 invested in the previous example. Depending whether the market has higher returns in the beginning or in the end, investors are seen either as dumb or smart even when they make no effort to time the market." This brings us to the article "Challenging Management (but Not the Market)," which discussed the investing strategies of Vanguard and DFA, including their performance. Quoting from the article: "Vanguard stock mutual funds have had higher actual returns than investors in Dimensional funds. On an asset-weighted basis in the 10 years through Jan. 31, the return received by Vanguard investors was 6.614 percent, annualized, compared with 5.05 percent for Dimensional funds, Morningstar calculates." It's important to note that the actual annualized returns of DFA's funds ranged from a low of 7.9 percent to a high of 20.0 percent, and 24 out of 31 funds beat their benchmarks after fees. So the worst performing fund actually produced higher returns than Morningstar reported for the total investor return. What the article didn't state was that using Morningstar's calculations, the annualized returns of DFA's funds was 9.5 percent versus 7.8 percent for Vanguard's. Because investor returns weight sub-periods differently, comparing investor returns across funds or families of funds without the same pattern of cash flows doesn't control for market performance, making the comparison useless. Missing in the performance evaluation is evidence suggesting that there's likely no more disciplined group of buy-hold-and-rebalance investors than those who invest in DFA's funds. That's likely a result of the fact that individual investors generally invest with DFA through their 401k or 529 plans or work with a Registered Investment Advisor firm. An example of the discipline of DFA investors can be seen by their behavior during the financial crisis. While virtually all fund families were experiencing large redemptions from their stock funds, DFA's funds continued to receive net cash inflows, often from investors rebalancing their portfolios. Morningstar touts the importance of Morningstar Investor Return in demonstrating how well fund families are preserving the investor experience. However, we've just seen its shortcomings. 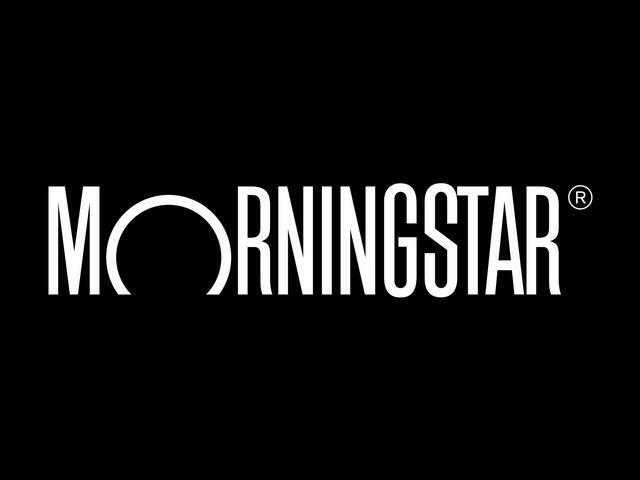 Has the time come for Morningstar to consider another performance measure which provides investors with more useful information when making investment choices?